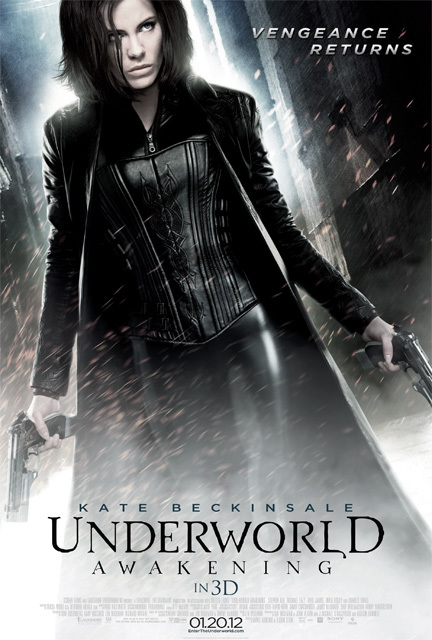 Love the Underworld films and I'm looking forward to seeing this. Just wish it wasn't 3D. funny thing i have all the films, but for whatever reason [other than kate] cannot get into them... maybe this film will bring it around... oh yes... kate's return does help. I love these movies, especially the werewolves. Lucien's story was my favorite. However, I do love Kate's mad fighting skills and can't wait to see this. i am totally in for them, it just makes me sleepy when i watch.